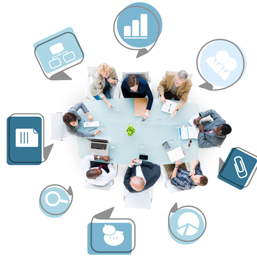 The OLC Board is comprised of committed individuals who share a desire to advance quality online and digital learning through the world. 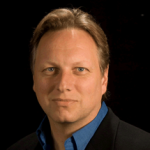 Dr. Eric E. Fredericksen is the Associate Vice President for Online Learning and Associate Professor in Educational Leadership at the University of Rochester. He provides leadership for the exploration of online learning initiatives across the University and is a member of the faculty in the Margaret Warner Graduate School of Education and Human Development. Eric has extensive experience in online learning and instructional technologies. He was Associate Vice Provost for Academic & Research IT at the University. Prior to the University of Rochester, Eric served as the Director of Academic Technology & Media Services at Cornell University. Before Cornell, Eric was the Assistant Provost for Advanced Learning Technology in the State University of New York System Administration where he provided leadership for all of SUNY's system-wide programs focused on the innovative use of technology to support teaching and learning. This included the nationally recognized SUNY Learning Network - winner of the EDUCAUSE Award for Systemic Progress in Teaching and Learning and OLC Awards for Excellence in Faculty Development and Excellence in Institution-wide Online programming. Eric was also the Co-Principal Investigator and Administrative Officer for three multi-year, multi-million dollar grants on Asynchronous Learning Networks (ALN) from the Alfred P. Sloan Foundation. He taught online for many years for the Department of Educational Theory and Practice in the Graduate School of Education at the University at Albany and currently teaches in the classroom and online for the Warner Graduate School of Education and Human Development at the University of Rochester. He was Chair of the Annual Online Learning Consortium (OLC) International Conference and served as Chair of the OLC Awards Program for Excellence in Online Teaching and Learning. He serves on the Advisory Board for eLearning at NYU. Eric received his Bachelors degree in Mathematics from Hobart College, his MBA from the William Simon Graduate School of Business at the University of Rochester, his Master of Science in Education in Curriculum Development & Instructional Technology at the Graduate School of Education at the University at Albany (earned entirely online), and his doctorate in Education, concentrating in Educational Leadership in Higher Education at the Warner Graduate School of Education and Human Development at the University of Rochester. Mary Niemiec is the Associate Vice President for Distance Education for the University of Nebraska. She is also Director of University of Nebraska Online – the University‐wide online education initiative collectively offering more than 100 online programs from its four campuses – University of Nebraska at Kearney, University of Nebraska at Lincoln, University of Nebraska at Omaha and University of Nebraska Medical Campus. Ms. Niemiec has worked in higher education for more than 20 years, primarily in the area of online and blended learning. She was the recipient of a grant from the Sloan Foundation in 2003 for a gathering of 30 faculty, administrators and researchers from the U.S. and Canada to begin exploration of the concept of blended learning and its strategic importance to higher education. Ms. Niemiec was conference chair for the Online Learning Consortium Blended Learning Workshop and Conference for eight years. Prior to joining the University of Nebraska in 2011, Ms. Niemiec held administrative positions in outreach, blended and online education at the University of Illinois at Chicago. 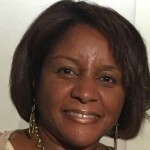 She has received several recognitions including the University of Illinois at Chicago Model Administrator/Alumnus Award by The American Society of Public Administration, Greater Chicago Chapter. Ms. Niemiec was also selected as an OLC Fellow in 2011 for her leadership in blended learning. Niemiec frequently presents at conferences, conducts seminars and workshops on topics regarding administrative strategies and policies, adult learners, online and blended instruction. She serves on several university-wide committees and has leadership roles in various professional organizations. 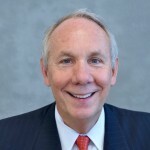 Ralph E. Gomory, Sr. Advisor to the Online Learning Consortium (OLC) Board of Directors, became the President of the Alfred P. Sloan Foundation in 1989 after a long and distinguished career at IBM where he was responsible for IBM’s research division for almost 20 years. During his tenure as Sloan President, he led the Sloan Foundation into numerous fields relevant to major national issues. The Foundation supported pioneering work in the field of online learning before there was even a public Internet, and then supported its growth so that by 2009, more than 3.9 million people were enrolled annually in online courses in higher education in the United States. He was instrumental in the conception of the Sloan Consortium (Sloan-C), now the Online Learning Consortium. In December 2007, Gomory became President Emeritus of the Sloan Foundation and joined NYU as a Research Professor. Dr. Gomory is well known for his mathematical research and has been awarded the National Medal of Science and many other awards in addition to eight honorary degrees. A.Frank Mayadas, founding president of OLC, is a prominent education innovator in online learning and has served as a Senior Advisor to the Alfred P. Sloan Foundation since 2010, advising the Foundation on its continuing grants in the Anytime, Anyplace Learning Program. From 1992 to 2009, he serves as a Program Director at the Foundation, helping craft the Foundation’s grantmaking strategy in online learning, globalization, industry studies, and career choice in technical fields. Prior to coming to the Sloan Foundation, Dr. Mayadas spent 27 years at the IBM Corporation. Dr. Mayadas received a Ph.D. in Applied Physics from Cornell in 1965, and a B.S. from the Colorado School of Mines in 1961. Elizabeth (Liz) Ciabocchi was appointed Vice Provost for Digital Learning at St. John’s University in Queens, NY, in early 2014, having served for the previous twelve years in the Office of Academic Affairs at Long Island University, most recently as Associate Vice President for Online Learning (2013-2014). She also served as Academic Dean, Pacific College of Oriental Medicine, New York Campus (2001-2002), and as a faculty member and administrator at the New York College for Health Professions in Syosset, N.Y. (1993-2001). In her current role at SJU, Ciabocchi leads the Office of the Provost’s academic initiatives in the development of digital learning strategies and programs of study offered in fully online and blended formats. In addition, she provides leadership in the use of technology associated with on-campus instruction; oversees the Office of Online Learning & Services; co-chairs the University Assessment Committee, and serves as a member of the Middle States Steering Committee, Academic & Administrative Assembly, and Provost’s Council. She also teaches at the graduate level in the Department of Administrative and Instructional Leadership in the SJU School of Education. Ciabocchi is active in a number of higher education professional organizations, and frequently presents at professional conferences on her research interests, including institutional leadership and strategy and women’s leadership in online higher education. Ciabocchi holds an Ed.D. in Higher & Postsecondary Education from Teachers College, Columbia University, a D.C. from New York Chiropractic College, and a B.S. in Biology from the University of Scranton. She also holds an OLC Teaching Certificate (Administrative Track) and completed the OLC Institute for Engaged Leadership in Online Learning (IELOL) in 2010. She was named an OLC Fellow in 2015. Dr. Anthony G. Picciano is a Professor and Executive Officer for the Ph.D. Program in Urban Education at the Graduate Center of the City University of New York (CUNY). He is also a member of the faculty in the Education Leadership Program at Hunter College, the doctoral program in Interactive Pedagogy and Technology at the Graduate Center, and the CUNY Online BA Program in Communication and Culture. 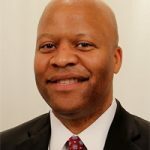 He has forty-four years of experience in higher education administration and teaching and has served as a director of computer services, dean, vice president, and deputy to the president at CUNY and SUNY colleges. He has been involved in a number of major grants from the U.S. Department of Education, the National Science Foundation, IBM, and the Alfred P. Sloan Foundation. In 1998, Dr. Picciano co-founded CUNY Online, a multi-million dollar initiative funded by the Alfred P. Sloan Foundation that provides support services to faculty developing online and blended learning courses. Dr. Picciano's major research interests are school leadership, education policy, online teaching and learning, data-driven decision making, and multimedia instructional models. Dr. Picciano has conducted three major national studies with Jeff Seaman on the extent and nature of online and blended learning in American K-12 school districts. He has authored or edited numerous articles and eleven books including Educational Leadership and Planning for Technology, 5th Edition (2010, Pearson), Data-Driven Decision Making for Effective School Leadership (2006, Pearson), Distance Learning: Making Connections across Virtual Space and Time (2001, Pearson), and Educational Research Primer (2004, Continuum). In 2012, he published a book with Joel Spring, entitled, The Great American Education-Industrial Complex: Ideology, Technology, and Profit, (Routledge). In 2007, he co-edited a book on blended learning with Chuck Dziuban entitled, Blended Learning: Research Perspectives and has just published (2014) a new version of this book entitled, Blended Learning: Research Perspectives, Volume 2 (Taylor/Francis). He is currently writing a new book with Chuck Dziuban, Charles Graham, and Patsy Moskal entitled, New Pedagogical Frontiers: Conducting Research in Online and Blended Learning Environments. Dr. Picciano has been on the Board of Directors of the Online Learning Consortium (formerly the Sloan Consortium) since 2001. His activities have included serving on the planning committees for the Annual Conference, the Annual Workshop on Blended Learning, and the Symposium on Emerging Technologies. Lastly, he has been an associate editor of JALN since 2002 and has edited five special editions. In 2010, Dr. Picciano received the Online Learning Consortium's National Award for Outstanding Achievement in Online Education by an Individual. Dr. Kim Cliett Long is with Adult Learners NOW. She previously served as Associate Provost for Administration and Extended Education and Professor of Organizational Management at Wiley College in Texas, USA – home of the “Great Debaters”. She also serves as the official curator for the Wiley College fine art collection. Dr. Long earned her doctoral degree from Northcentral University in Organizational Leadership. She is a Distance Learning Specialist certified in Distance Education by the University of West Georgia. She has earned the following certifications: Certified Program Planner in the area of Learning Program Management, Certified Faculty Developer and Certified Adult Educator. Dr. Long serves as the coordinator for the Provost’s Roundtable at Wiley College with the chief responsibility for creating and executing a monthly professional development program for new and junior faculty with an emphasis on technology integration in the classroom. Additional responsibilities include coordinating professional development programs and global initiatives. Past experiences include over thirty years experience in entrepreneurial pursuits, certification as an Advanced Director in early childhood program management by the State of Florida, lobbyist on early childhood advocacy and public policy campaigns, community and fundraising initiatives in the arts, art marketing, exhibitions, and curating. She has served on a multitude of boards and committees at the local, state and federal levels including a gubernatorial appointment to Southwest Florida College Board of Trustees where she served for five years including a term as Chairman. Dr. Long’s research interests include servant leadership and distance education access for diverse and underserved learners. Currently, she is an Associate Editor for the e-Journal of eLearning, published by Academic Conferences and Publishing International headquartered in England. 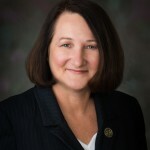 She also serves as an Advisory Board Member for Campus Technology magazine, a higher education technology magazine that provides updated information about advanced networking for the campus enterprise. The magazine is published by 1105 Media. In addition, Dr. Long served as an Editorial Board member for the 2014 2nd International Conference on Development Finance and Economic Transformation at the University Limpopo in Sovenga, South Africa. Most recently, she was nominated by invitation only to author the article on “E-Learning” in a new reference project being launched by the Oxford University Press: Research Encyclopedia of Business and Management. Other publications currently in progress include: a pictorial catalog on the historical Wiley College Great Debaters and a perspective catalog on The Servant Leadership of Jonathan Green featuring works in the corresponding fine art poster exhibition. 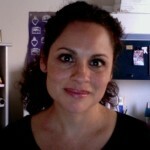 Dr. Julia Parra is an assistant professor at New Mexico State University (NMSU) in the College of Education. She is the Director for NMSU’s Online Teaching and Learning Graduate Certificate Program and is the coordinator for the Learning Design & Technology programs. She has taught for the Online Learning Consortium (OLC) and is currently serving on the NMSU Online Taskforce which is working towards an online solution for its university and community college system. Dr. Parra’s research interests include 1) the interactions between learning design, technology, and innovation; and 2) culturally relevant teaching in technology-mediated environments. For more about Julia, see her website at juliaparra.com. Dr. Peter Shea is Associate Provost for Online Learning and Associate Professor in the School of Education and the College of Computing and Information at the University at Albany, State University of New York and also the Online Learning Journal Editor in Chief. His research focuses on the development of communities dedicated to learning in online environments. He has published widely on this topic in journals such as Computers and Education, JALN, Internet and Higher Education, The Journal of Educational Computing Research, Interactive Learning Environments and others. He is past director of the SUNY Learning Network, the online education enterprise of the 64 campus and 400,000 students in the SUNY system. Peter's research has been supported by the US Department of Education and The Alfred P. Sloan Foundation. He has been co-recipient of three national awards for online learning, faculty development and online programs from EDUCAUSE and the Online Learning Consortium. The Tennessee Board of Regents recently appointed Dr. Michael Torrence as the president of Motlow State Community College. The college has campuses in Smyrna, Tullahoma, McMinnville and Fayetteville, Tennessee. President Torrence will assume office at Motlow on May 1, 2018. Torrence is currently assistant vice president of academic affairs at Volunteer State Community College. Dr. Torrence has 11 years of experience in higher education administration and nearly 23 years of full- and part-time teaching experience. He has spent his career embracing the use of technological literacy as a platform to increase student engagement and success. He has served as the Co-Chairperson for TNeCampus and as a Tennessee Board of Regents statewide team leader for the integration of Emerging Technology and Mobilization in the areas of Gaming, VR, AR, and MR into teaching and learning. Dr. Torrence has trained faculty, students, executives, and community members and developed immersive curriculum focused on STEAMB (Science, Technology, Engineering, Art/Aviation, Mathematics, and Business) for all grade levels and has utilized these platforms for teaching undergraduate and graduate students in his own classes, where VR and entrepreneurship is a norm. Currently, he is researching and developing a platform for OER with support from Hewlett-Packard and the Bill and Melinda Gates Foundation. He earned a doctor of philosophy degree, with a major in exceptional learning, at Tennessee Tech University, and master of arts and bachelor of arts degrees at South Dakota State University, both with a major in English. Michael is a veteran of the U.S. Air Force, serving as a senior airman from 1992 to 1996. Dr. Craig D. Weidemann, Vice President for Outreach and Vice Provost for Online Education Emeritus, Penn State University, recently retired after a thirty-five year career in higher education. He was named Penn State’s Vice President for Outreach in 2003 and Vice Provost for Online Education in 2013. In this position, he provided leadership for the University’s external outreach, engaged scholarship, and online education initiatives. He had responsibility for the Penn State World Campus (online), Public Media, and Professional and Community Engagement. Penn State Outreach is the largest unified outreach organization in American higher education. The last two years, he served as the Special Assistant to the Provost for Innovation and Educational Technology Initiatives to help advance Penn State’s transforming education strategic theme. Dr. Weidemann has served as a board member of the Association of Public and Land-grant Universities (APLU), the University Professional and Continuing Education Association (UPCEA), treasurer and board member of the Engagement Scholarship Consortium (ESC), chair of the APLU Council on Engagement and Outreach (CEO), and member of the Big Ten Committee on Engagement Committee of the CIC and the Advisory Council for the UPCEA Center for Online Leadership and Strategy. In addition, Dr. Weidemann has served on several boards in Pennsylvania including two terms on the Governor’s Workforce Investment Board and past board member of the Pennsylvania Chamber of Business and Industry. He is the recipient of the UPCEA Julius Nolte and was recognized by the University of Georgia with the Professional Achievement Alumni Award. He writes and presents on many issues including engaged scholarship, online learning, innovation, and adult learning. Prior to his tenure at Penn State, .Dr. Weidemann held administrative positions at The Johns Hopkins University, the University of Illinois, Champaign-Urbana, and UMBC. Dr.Weidemann received his B.S. degree in Psychology from Illinois State University, and his Ph.D. in Educational Psychology from the University of Georgia in Athens. 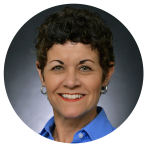 Patsy Moskal is the Associate Director for the Research Initiative for Teaching Effectiveness at the University of Central Florida (UCF). Since 1996, she has served as the liaison for faculty research involving digital learning technologies and in support of the scholarship of teaching and learning at UCF. Patsy specializes in statistics, graphics, program evaluation, and applied data analysis. 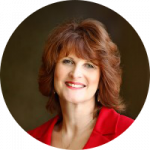 She has extensive experience in research methods including survey development, interviewing, and conducting focus groups and frequently serves as an evaluation consultant to school districts, and industry and government organizations. She has served as a co-principal investigator on grants from several government and industrial agencies including the National Science Foundation, the Alfred P. Sloan Foundation and the Gates Foundation-funded Next Generation Learning Challenges (NGLC). Patsy frequently serves as a proposal reviewer for conferences and journals, also serving on the editorial boards of the Online Learning journal, Education Sciences and The International Journal for the Scholarship of Technology Enhanced Learning in addition to serving as a reviewer for NSF SBIR/STTR and DoE proposals. In 2011 Dr. Moskal was named an Online Learning Consortium (formerly Sloan-C) Fellow “In recognition of her groundbreaking work in the assessment of the impact and efficacy of online and blended learning.” She has co-authored numerous articles and chapters on blended, adaptive, and online learning and is a frequent presenter at conferences and to other researchers. 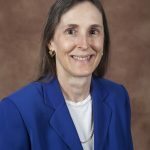 Most recently, her co-authored book--Conducting Research in Online and Blended Learning: New Pedagogical Frontiers-- with Dziuban, Picciano, and Graham, was published in fall 2015. 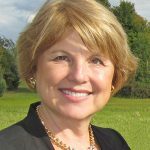 Patsy is very active in both EDUCAUSE and Online Learning Consortium conferences, serving as the Online Learning Consortium International Conference Program Chair in 2014 and Conference Chair in 2015. 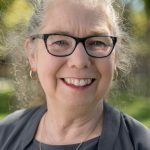 Sandra currently serves as the New England Director of the State Authorization Reciprocity Agreement, where she is a respected expert on eLearning initiatives. Ms. Doran is working to fully develop a platform for six states within the NEBHE Compact to enter into the reciprocity agreements for authorizing individual colleges and universities to provide postsecondary education courses and programs through on-line or other distance modalities. Ms. Doran also serves as an Entrepreneur in Residence at Stevens Institute of Technology, Hoboken, NJ. Sandy had previously served as the CEO of Castle Point Learning Systems, a Stevens Institute educational technology start-up. The company developed a SAAS platform which provides an instructional infrastructure for calculus, enabling students and teachers to develop a more robust foundation in higher-level mathematics. Sandy is passionate about the power of transformational educational tools to accelerate learning. Technological advancement has significantly outpaced the capacity at which educational institutions can accept and implement these new tools and it is therefore essential that comprehensive programs be developed to fully integrate and support these tools in the learning environment. Ms. Doran believes that bridging the current gap by integrating technological tools into the curriculum is one of the keys to significantly improving student success. Sandy is an innovative leader in both on ground and online education, having served as President of American College of Education, where she led the growth of a progressive institution dedicated to serving teachers by offering online doctoral and master’s degrees and as General Counsel and Chief of Staff at Lesley University in Cambridge, Massachusetts. Before entering the education field, Ms. Doran was Senior Counsel at the national law firm, Holland and Knight, and General Counsel and Secretary of New England-based Shaw’s Supermarkets, a $2B internationally held company. Kate Jordahl is the Director of Academic Affairs and Consortia. In her new position, Jordahl provides leadership and coordination for the CVC-OEI Consortium, including curriculum integration, enrollment management, and academic standards. She also oversees the implementation process for colleges joining Consortium and coordinates various governance groups. She comes to this position after working at Foothill College, Los Altos Hills for 19 years as professor and administrator. Jordahl served faculty lead on the Foothill College OEI Implementation Team and as Foothill College Faculty Representative to both the OEI Consortium and the OEI Common Course Management System Selection/Implementation Committee. 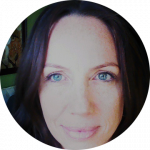 In addition to being a Peer Online Course Reviewer and online faculty mentor, she designed and facilitated the Foothill College Online Teaching Certification Course (OTC). Kaye Shelton, Ph.D. is a Professor of Educational Leadership in the Center for Doctoral Studies in the College of Education at Lamar University. Previously as the Dean of Online Education for Dallas Baptist University, she led the development and ongoing operations of their online education programs with over 55 majors and degrees offered fully online. She is certified as an online instructor, teaching online since 1999, and also an online education consultant. Winner of the both the Blackboard and eLearning exemplary online course awards, she has published over 40 articles and book chapters in the field of online education, including a co-authored book entitled An Administrator's Guide to Online Education. Dr. Shelton was also awarded a Sloan-C Effective Practice award for her research on the Quality Scorecard for the Administration of Online Education Programs, the John R. Bourne award for Outstanding Achievement in Online Education and the NCPEA Morphet Dissertation award. Dr. Shelton has been involved with research in online education since 1997 and has spoken at numerous conferences and workshops and advised peer institutions regarding the creation of an online education program and best practices for teaching online and faculty support. Recently, Dr. Shelton has been involved in the national and international use of the OLC Quality Scorecard for the Administration of Online Programs as it has been adopted by institutions in Latin America. She is also an Online Learning Consortium Quality Scorecard program evaluator and teaches workshops regarding its implementation. Tanya Joosten, Ph.D., is a Senior Scientist, the Director of Digital Learning Research and Development, and co-PI and co-Director of the National Research Center for Distance Education and Technological Advancements (DETA) at the University of Wisconsin-Milwaukee. She is recognized for her work in blended and online learning as an Online Learning Consortium (OLC) Fellow and she works to guide strategic digital learning efforts on campus, across the UW System, and nationally. Currently, Dr. Joosten leads a national research initiative supported by the U.S. Department of Education working to provide access to research models and methods, facilitating innovate processes of data collection, and encouraging the replication of research across institutions through the DETA Research Toolkit to identify key instructional and institutional factors that influence student success with particular attention to underrepresented students. Dr. Joosten has a background in the social sciences hailing from the field of communication. Her notable keynotes include eLearning Asia, ITC eLearning Conference, and SACS COC President’s event, and her ideas have been highlighted on plenary panels at the UW-Madison Annual Distance Teaching and Learning conference and the OLC International Conference for Online Learning. You can find her ideas and work cited in the Chronicle of Higher Education, Forbes, U.S. News World and Report, and more. Recent interviews with Dr. Joosten are available on ResearchInAction and TOPcast available on iTunes. Her book on social media is available from Wiley Publishing, she has authored numerous articles, chapters, and encyclopedia entries on human and social interactions and digital learning, and she often writes invited blog posts and magazine articles for organizations, such as EDUCAUSE, WCET, Inside Higher Ed, and Pearson. Dr. Joosten previously worked as the Director of the Learning Technology Center leading faculty development and engagement initiatives, pedagogical and technological innovation projects, core learning technology oversight, and blended and online program development.